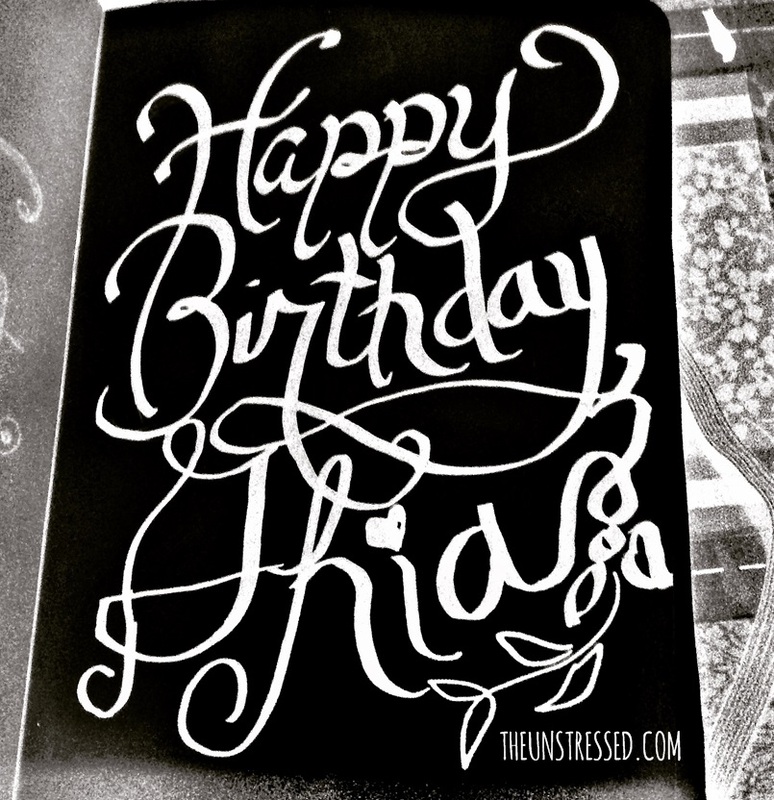 I found an opportunity to experiment with my greetings for my cousin, Ghia. By the way, Ghia is an excellent instagrammer that the Columbus Museum of Art included one of her photos in an exhibit there. 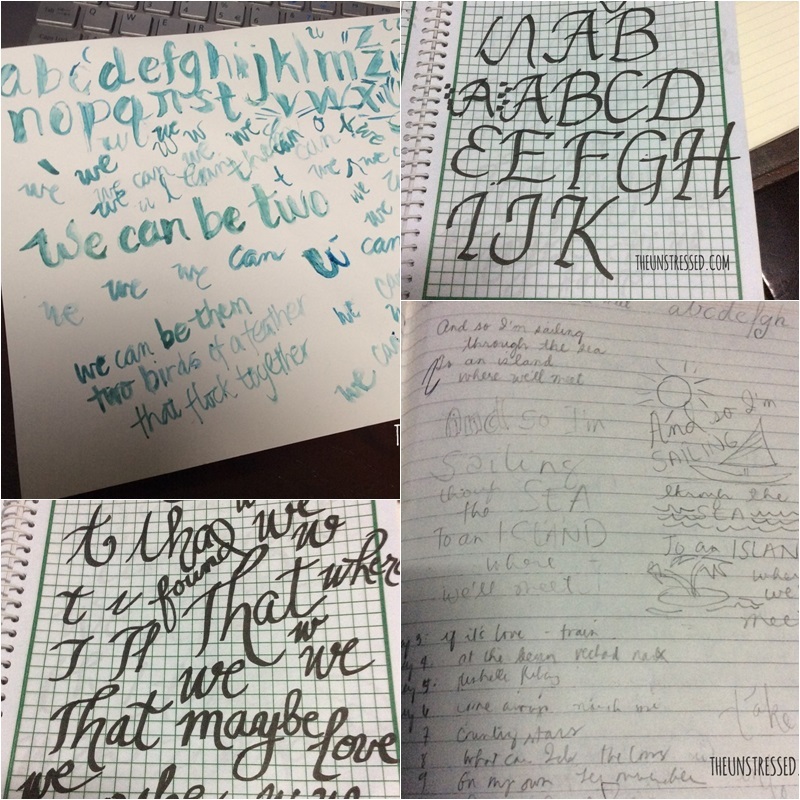 I found another opportunity to explore the art of lettering when Fozzy Dayrit, my calligraphy idol, started #10daysofcrushing. You need to post on instagram lines for songs or quotes that you would dedicate to a crush. It is easier to practice with the lines from the songs since you do not have to think of cool words to practice on. I started with this one. On the second day, I want to use a different style to the lines. I came up with this one. I got a lot of ribbing from my friends for the “in love” quotes. Yes, I am in love…. with lettering! I thought of using watercolor so this happened. 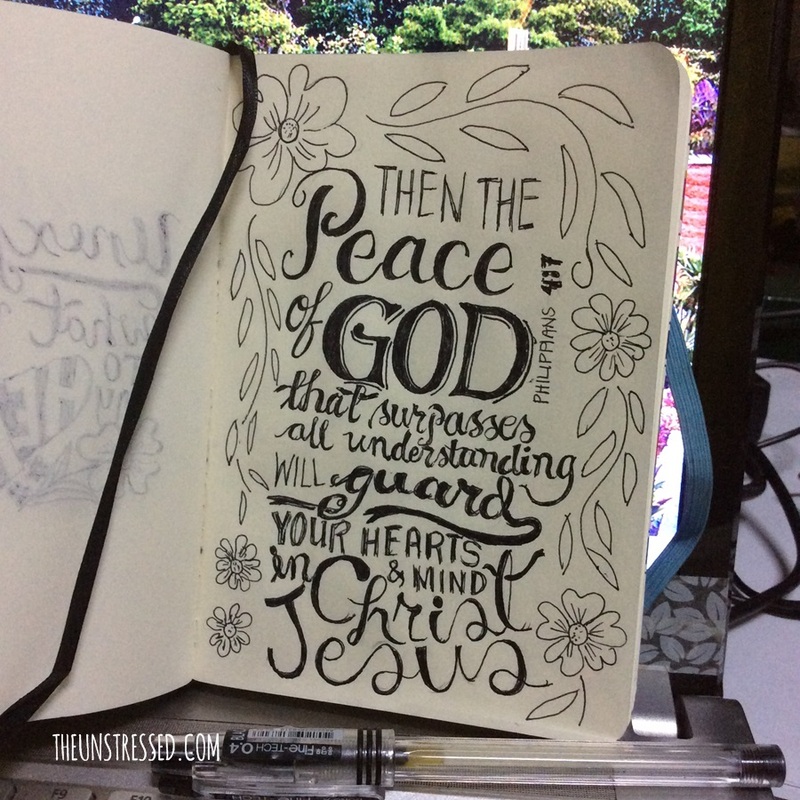 And to avoid the teasing and still enjoy lettering, I made one with one of my favorite bible verses. You can see that I am really enjoying this. These are more of the #10daysofcrushing I did. I did a lot of practice and planning to come up with the ‘designs’. There is so much to learn. I am just trying to wing this one. I get ideas from Google, Instagram and Pinterest. My friend also recommended a classic calligraphy book and I still need to look for a copy. Calligraphy is a little technical. There are measurements and consistency of strokes to look out for. Lettering is a bit more flexible but I noticed that the output is cleaner and impressive when one incorporates the techniques of calligraphy into lettering. I am off to do more! The #10daysofcrushing is not yet done. For more lettering, follow me on Instagram. your penmanship is beautiful! 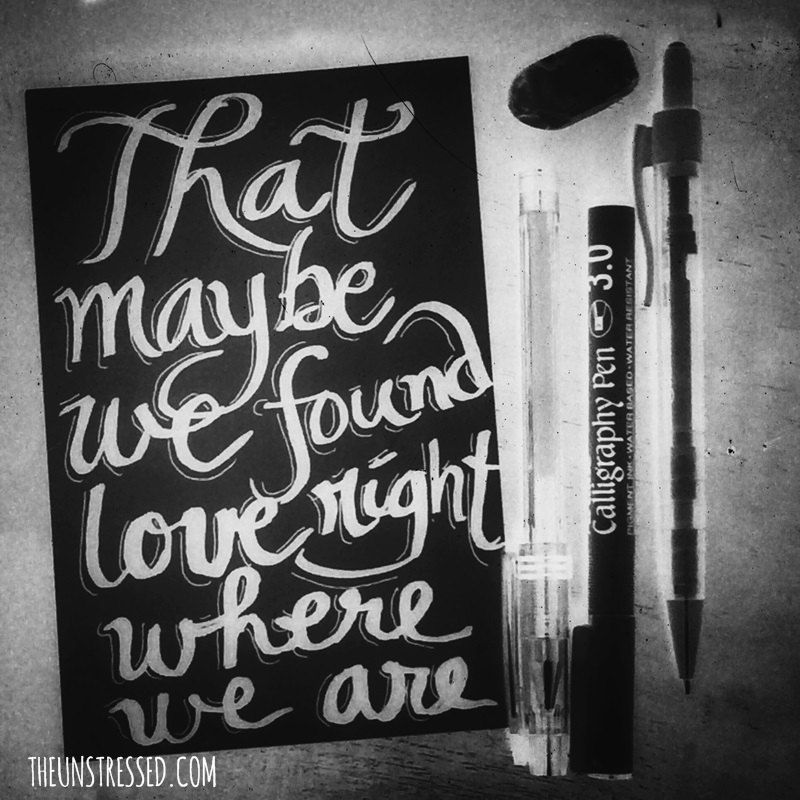 I also follow some of my wawie friends’ instagram who also happened to be calligraphy-addict! how i wish i could learn something new this year just like you. This looks hard!!! I want to learn calligraphy too (and painting) but I simply don’t have the patience to sit down and watch my progress hahaha. Gusto ko perfect agad on my first try! But I’d add this to my bucket list na rin. I recall wanting to learn calligraphy many years ago, but for some reason I never did. It should be offered in schools for the next generation to learn because with the use of computers and smart phones their penmanship will be lacking as it is. Great work Sis, so beautiful! you should do more and inspires us with your beautiful creation. LOVE it! 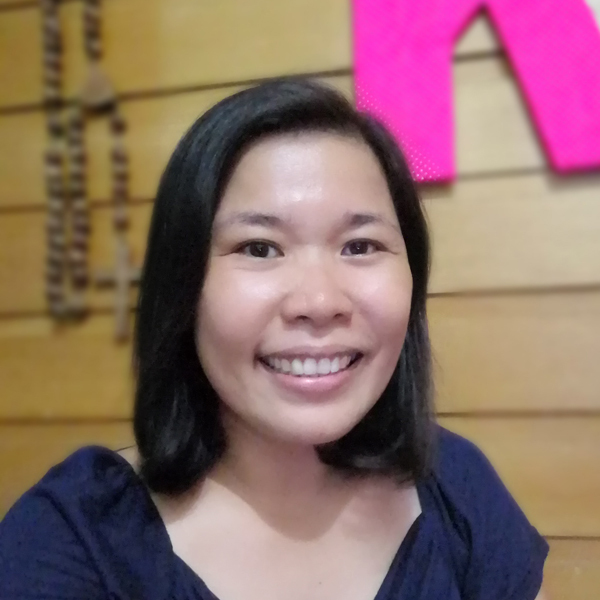 I saw your FB posts and I admire your works sis. You really is an artist. I want to see more of your works. However, I was so obsessed with the lettering that I think I lost my way to enjoying the kind of typography art you had done here!!!! I guess I should return back to my own drawing board and start all over again. The first thought when I see this was you too! 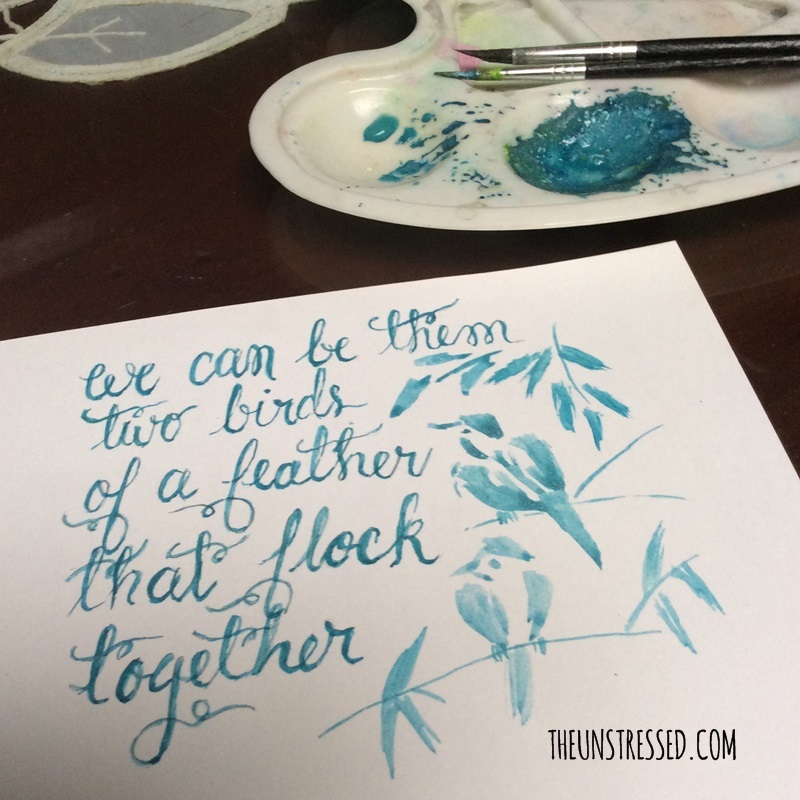 Haha, I think both of you should start a Calligraphy exchange post, it will be so fun! Beautiful calligraphy works! You should consider accepting orders to make invitations and posters in the future. 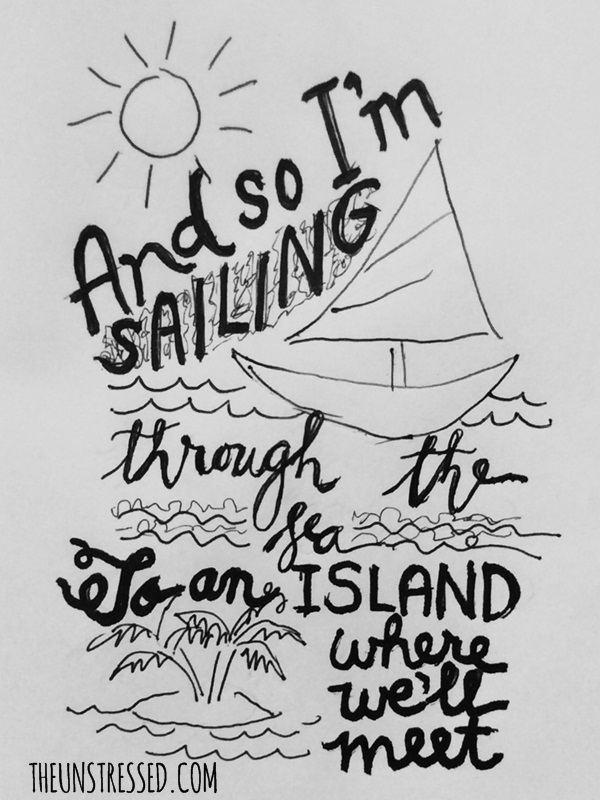 I am also into lettering and I suddenly missed doing it when I saw your work. Good for you that you have a lot of time to do all this. Really lovely calligraphy. It seem to be the in thing this year. Oh my I’m impressed. Some of my friends are really into calligraphy and I am always in the background admiring because i think this isn’t for me. I’ve heard of Abbey Sy and I’ve seen some of her work. I’m excited to see all the beautiful work that you will do because I know calligraphy is something that isn’t for me – my handwriting is too small & I’m OC so I might not get anything done, lol. It’s almost impossible for me to write / come up with something nice if I need to make my handwriting big. I want to. Someday. When schedule permits. Fozzy Dayrit is the wife of one of my running friends Chips. She does so well in calligraphy. It seems that you have a future with calligraphy too. Galing! Another creative adventure you’re doing. Do you follow a pattern or strokes for this? Strokes are supposedly consistent. I am still trying to get it right. You’re good at this. More practice might get one of your works featured in an exhibit, too; wink! Sounds a good and enjoyable hobby to try. But I guess this is not my stuff. I got a passing mark in Lettering during mh high school days eh. Calligraphy is an amazing art that I have always wanted to master myself. I love your creations , they look so genuinely beautiful! You’re a talented calligrapher and artist. Your designs are beautiful and perfect for Valentine’s Day. Beautiful! Good you got a new hobby on lettering and calligraphy. I wish too to learn calligraphy. I used to have this book by Staedler about different letter ring styles I’d use for school projects. I’d like to find that book again now that I’ve read this. Calligraphy is one of our elective subject in high school but that was the last time I tried lettering. I don’t know kung marunong pa ko. lol. This is already a trend now and there’s even workshop to learn this. I don’t think I can post all I did in my little practice notebook and 90daysofdoodling…mega practice is what I need. I really love your work. You are gifted with great skills in lettering and calligraphy. Hope I got that natural talent too! Oh my. I love how you did it – I can never do such. It looks so wonderful! I wanted to learn how to do that as well but I think it’s hard. Amazing! What a gifted hands you have. Wow! You’re very good! They hold workshops, right? Maybe you can attend one. you’re sooooo good! I envy you right now.. I dont have the skills to make a good calligraphy. Keep it up! I follow Paula Peralejo on IG. She make great calligraphy too!